Take control of your finances with this set of inserts designed especially for the NEW Mini Happy Planner! These inserts are printed on premium paper ensuring that they will hold up to steady use. Included in this bundle are enough forms for an entire year! These pages are perfectly sized for the new Mini planner (7 discs) and come already punched. 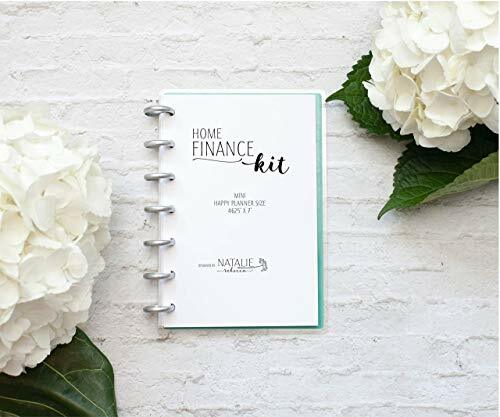 All pages are printed black and white- any titles that are in color are shown to demonstrate how easy it is to customize these inserts to coordinate with your layouts! If you have any questions about this product by Natalie Rebecca Design, contact us by completing and submitting the form below. If you are looking for a specif part number, please include it with your message.